<> at Michigan Stadium on October 1, 2011 in Ann Arbor, Michigan. In what was no doubt the most raw, and the most difficult sports related press conference I have ever watched, Jerry Kill resigned as the head coach of the Minnesota Golden Gopher football program. Coach Kill has battled epilepsy since 2005, and it was hoped that the seizures were under control, but they have returned this year. Following his doctor’s advice, Kill has retired from coaching, effective immediately. Kill has been a football coach for 32 years, with the last five at the University of Minnesota. When he arrived at Minnesota, Kill found a program mired in years of mediocrity, with the program’s best years decades in the past. 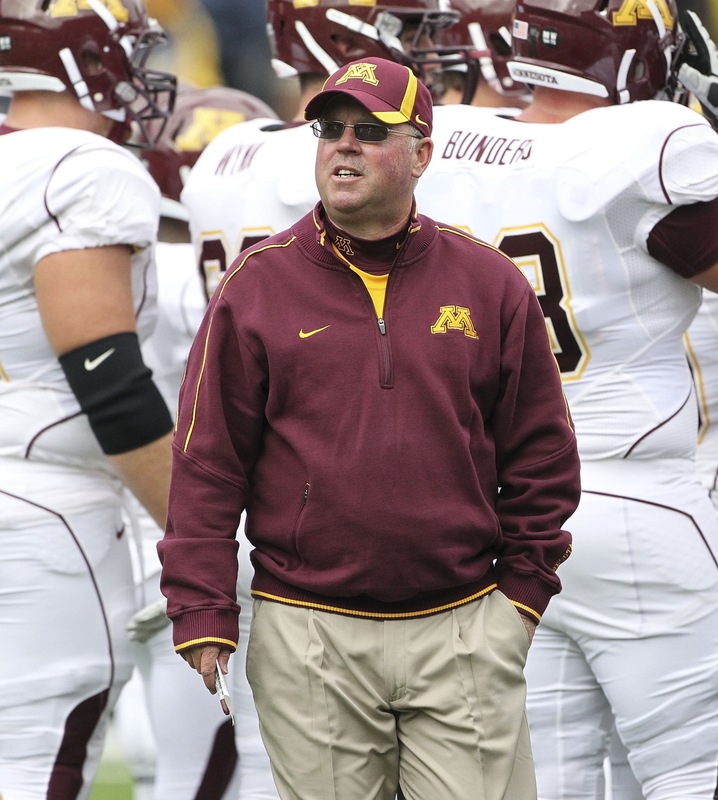 In his short time at Minnesota, Kill returned the football program back to relevance, earning the B1G Coach of the Year Award in 2014. Coach Kill will be deeply missed at the University, but I have no doubt he will be successful at whatever venture he turns to next. Best of luck to you Coach. With the college football season underway, and the hockey season a month off, here’s a photo of John Mariucci. Mariucci was an All-American and AAU National Champion on the ice in 1940, and he was also a National Champion on the gridiron in the same year for the Golden Gophers. 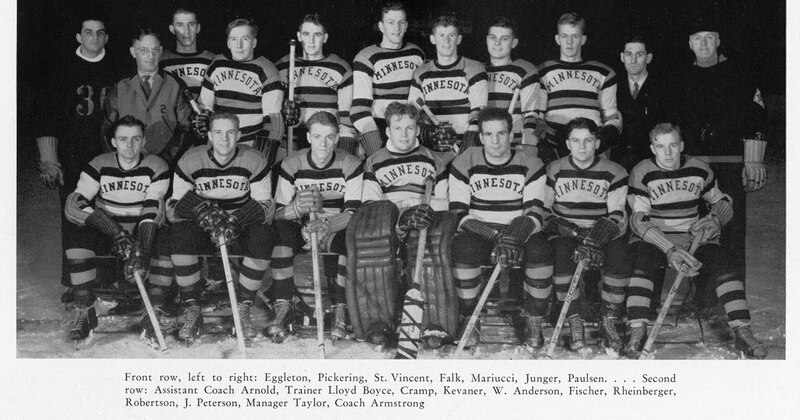 The 1939-1940 Golden Gopher hockey team. The funeral for Norbert Robertson, who was the oldest alum of the University of Minnesota hockey team, was held today. Robertson was a three sport athlete for Minnesota and later St Thomas. He was on the Minnesota team that won the AAU National Championship in 1940. His Minnesota career was cut short by World War II. When Robertson received his draft letter he had one quarter left to graduate. He asked if he could finish his degree, “But Uncle Sam waits for no one,” Robertson said. Within a month, he was in basic training, and eventually assigned to the Air Force. Mr Robertson, a St Paul native, was 95. RIP. 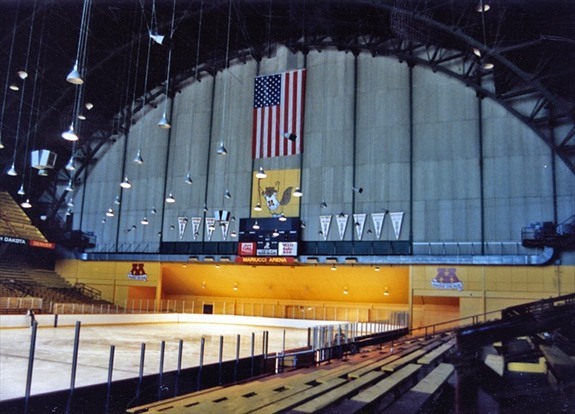 As the Gophers face Michigan State at Mariucci Arena tonight, here’s one more view at the Old Barn. Congrats to Nick Lehr on his first collegiate win last night in place of All-American Adam Wilcox. Let’s avoid that first period scare tonight, however. Here are two more shots that give a clearer picture of the sloped wall above the goal at one end of the arena. This is the wall that divides the basketball side from the hockey side of Williams Arena. The sloped ceiling above the goal at this end, is due to the seating on the other side for basketball. As far as I know, it was the only rink in the country with such a quirky feature. At the opposite end of the “cubby hole” was a high bank of windows, and right below that is Goldy’s Perch. The Gopher mascot would spend a lot of time up there by the “NE” section, which was the student section. The best part would be seeing Goldy up there on his perch, swinging his broom, while the school band played the “Battle Hymn of the Republic” after a series sweep. Here’s a video that a Gopher fan took during the final hockey season at Old Mariucci. Notice the “clean” boards. There are very few adverts on the boards, and even center ice is clean with only “Mariucci Arena” imprinted on the ice. What a different era. A very special thanks goes out to gopherhockeyhistory.com who took the video and photos before the Gophers moved into their new arena. It brought back a lot of good memories. Kudos! 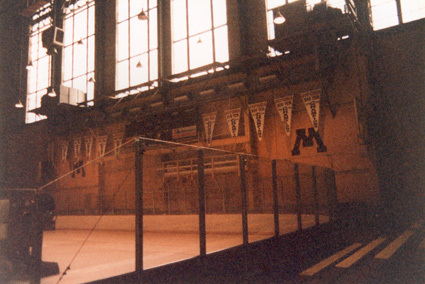 Over the years, the University of Minnesota has played in a lot of venues. The first intercollegiate hockey game the U of M played was in 1895. Those games were played at Athletic Park in Minneapolis. By the 1903 season, the Gophers were playing on Como Lake in St Paul. I believe 1903 is also the first year Minnesota played the University of Wisconsin. The University’s Board of Regents did not officially fund a varsity hockey program until 1921. 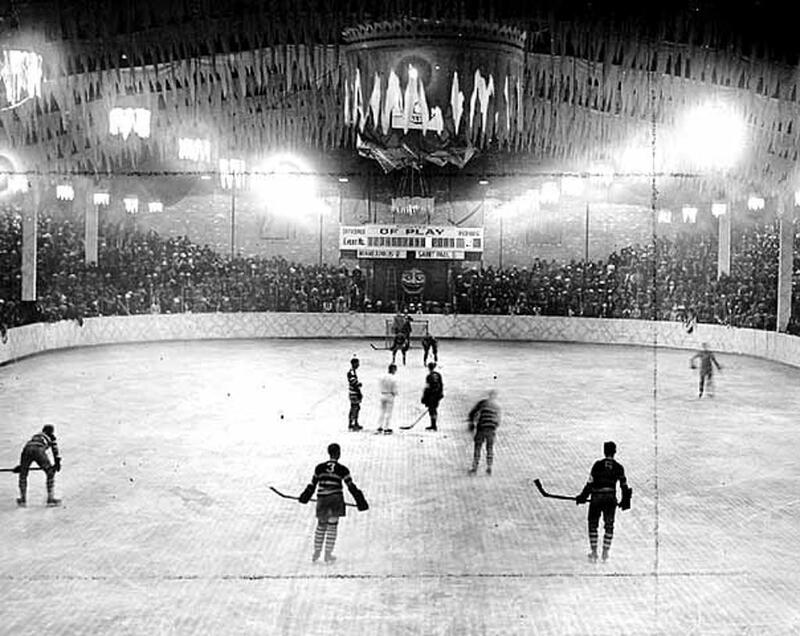 By 1923, the University’s hockey team was playing in the Hippodrome at the Minnesota State Fair grounds. 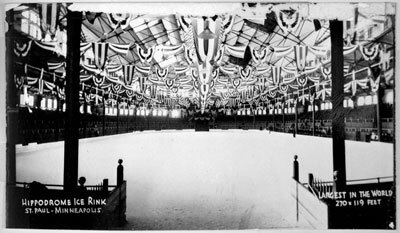 When the Hippodrome was built in 1906, it was the largest indoor ice sheet in the world at 270 feet by 119 feet. 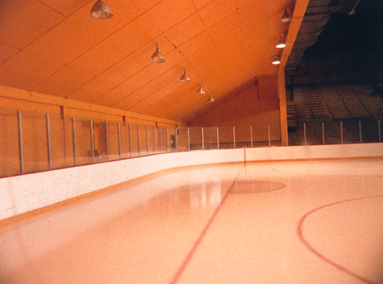 The Original “Hipp”, as it was known, was a beautiful and massive amphitheater that sustained the rink by leaving the doors and windows open to let the natural air freeze the ice. Interestingly, it was also the home of the St Paul Athletic Club, which won the MacNaughton Cup in 1915, and were runner’s up in 1922 and 1923. 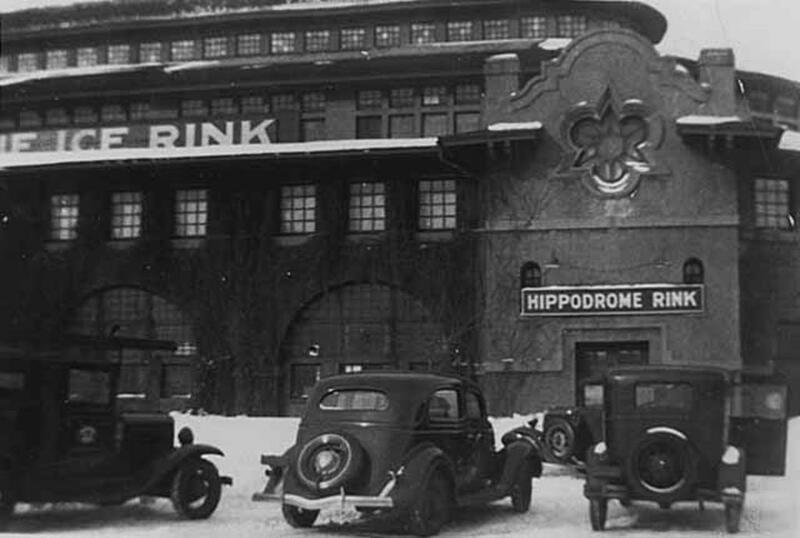 Minnesota would continue to play in the Hippodrome off and on until 1934. During WWII, the “Hipp” was converted into a propeller plant. While under government control, the historic Hippodrome was severely damaged and declared unsafe. The building was torn down in 1946. By 1925, the main home of Gopher hockey was the Minneapolis Arena. 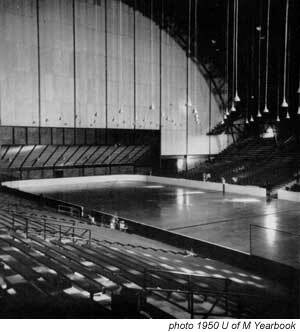 The team continued to play some games at the state fair grounds until 1934 and at the St Paul Auditorium from 1932 – 1950. Things really started to change for the program by 1950. Williams Arena opened on campus in 1928. 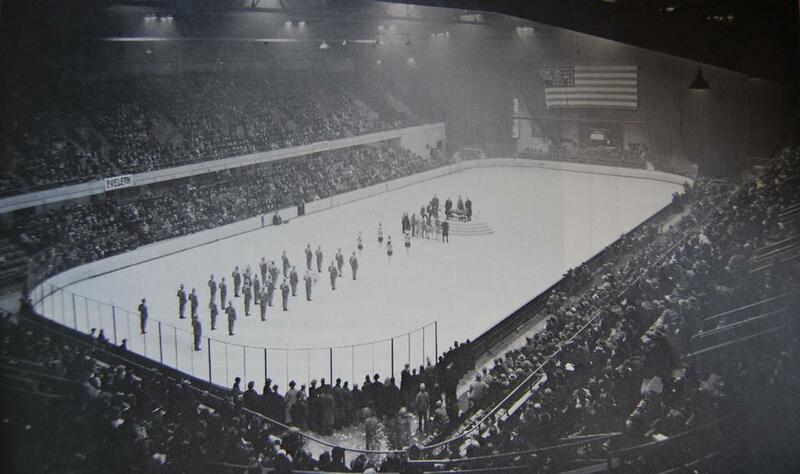 In 1950, “The Barn”, as the old arena is affectionately known, received its first major renovation. The building was divided with the larger section to be the home of the basketball team, and a smaller section to become the new, on campus home of the hockey team. 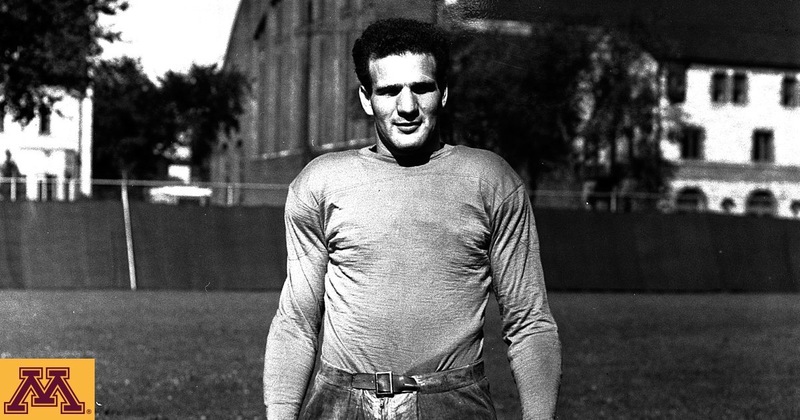 In 1952, John Mariucci would become the coach of Golden Gopher hockey. It would be Mariucci who would take the program to new levels and cement the program’s identity. It was Mariucci who really started the tradition of Minnesota kids playing on Minnesota’s ice. He would coach the team through the 1966 season. 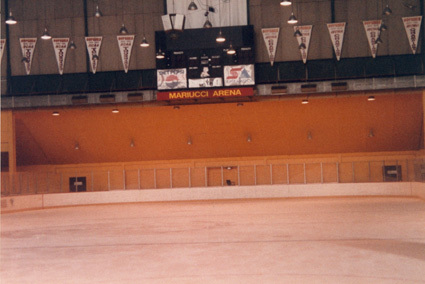 In 1985, the hockey side of Williams Arena was renamed Mariucci Arena after the long time coach. I absolutely loved attending games at Williams Arena/Old Mariucci, both as a young kid with my Dad and as a student at The U. It was a unique rink, a very intimate setting, and very loud for the home team. It also had the strangest little cubby hole at one end. As a kid, I always wondered if the net minder got claustrophobic down there. In 1993 the hockey team moved into the New Mariucci Arena, which is across the street from Williams. Old Mariucci is now the Sports Pavilion. New Mariucci is a beautiful hockey rink, and arguably one of the nicest in the nation, but I’m glad I experienced the quirks and history of Williams. 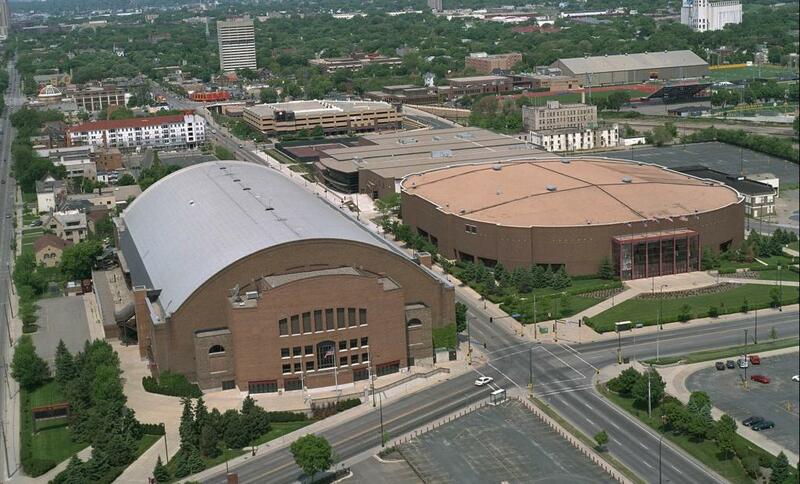 “The Barn” and Mariucci Arena … University of Minnesota campus. 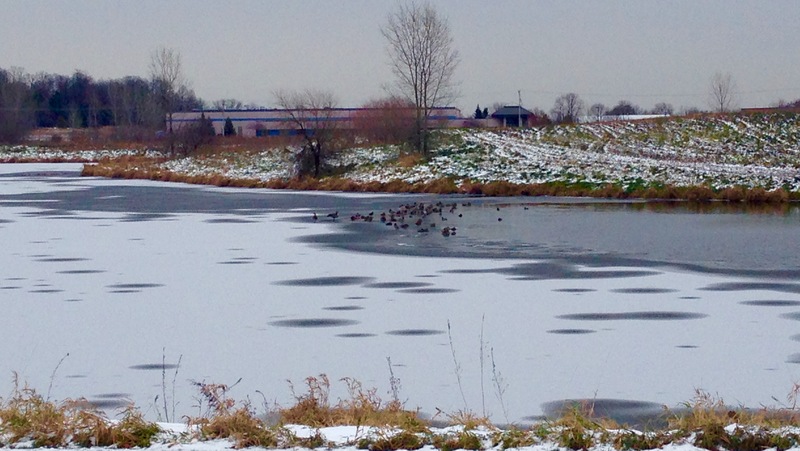 The subject of this post comes courtesy of Pewaukee. 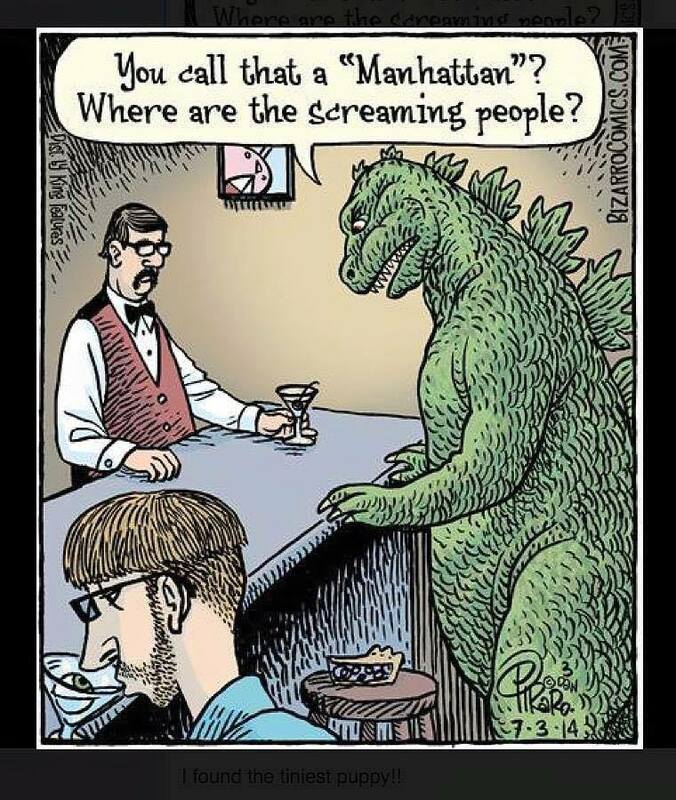 So blame him!